Happy! Sad! Angry! How do you feel today? 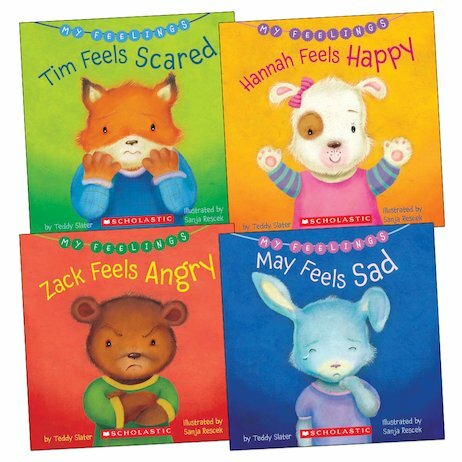 These little animals have lots of different feelings and aren’t afraid to let them show. (Plus they’re super-cute, aren’t they?) It’s good to let people know how you feel, and to work out how your friends are feeling too. These charming stories help you recognise different types of feelings and identify their signs. You can learn to control them, or to change them if you want to. But don’t worry: they’re all normal and all part of what makes up you!